Facial fat transfer is a natural, safe, and more permanent alternative to facial injectables or dermal fillers. Eye revolumizing fat transfer uses your own body’s natural fat to more permanently restore the volume in your face. Fat transfer is a safer alternative because using your own fat deposits prevents allergic reactions from occurring, which some patients may have with synthetic dermal fillers. WHO IS A CANDIDATE FOR REVOLUMIZING FAT TRANSFER? 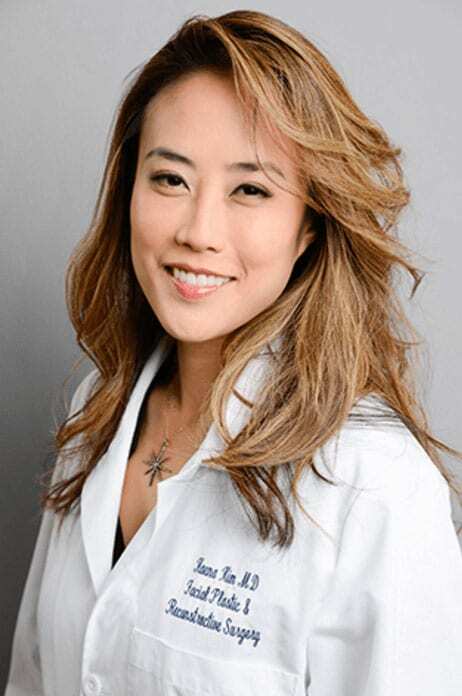 Dr. Kim uses liposuction to make small incisions and remove fat from the hips, thighs, or buttocks. Liposuction can be performed under local or general anesthesia. Dr. Kim then purifies this fat to use as a natural, safe injectable alternative to re-create facial volume. Facial fat transfer involves minimal downtime and patients may return to normal activity within 5-7 days. Facial swelling and bruising at the injection and transfer sites is common and will disappear within the first few days. Some of the fat gets safely reabsorbed back into the body, so the sites that have received the fat transfer may appear fuller for the first several days. The area where the fat was extracted from will be bandaged and may be sore for a few days. The face heals quickly and results will become very apparent quickly over time. Dr. Kim’s patients are always very happy with their results.